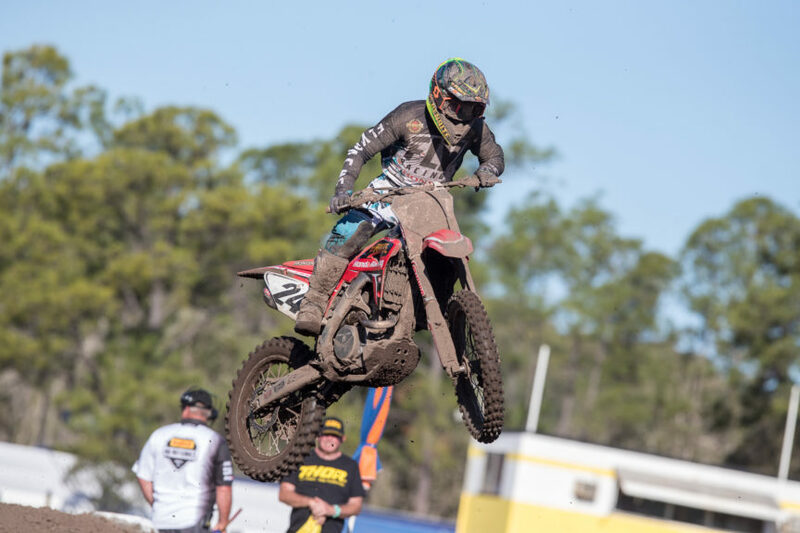 Penrite Honda Racing’s Brett Metcalfe is committed to compete in the 2018 Australian Supercross Championship alongside his team mate and reigning Supercross champion Justin Brayton. “I’ve been on the podium with some seriously talented riders. I remember in 2008 standing with two overall Supercross Champions – Dungey and Weimar in round 2 in Phoenix. I have many great memories racing Supercross in America against Barcia, Dungey, RV and the others; whilst my overall results were marred by injuries, I always enjoyed racing Supercross,” said Metcalfe. “I genuinely thought we were going, we were well prepared with bikes, gear and mechanics and American Honda had offered support. We were ready to sign documents so my mind and heart were firmly set on racing for the country I love. It was a shame we didn’t get to go but I am grateful to the team for ensuring I can still compete here in Aus and my mind is re-set for Supercross, even though it’s a tight turn around for preparation, we will make the best of it,” said Metcalfe. Team Director Yarrive Konsky talks of the challenges of coordinating the Supercross program this year, with some unforeseen external factors influencing plans. “Originally we had Metcalfe and Waters contracted to compete alongside Justin Brayton. Waters received the opportunity to race for HRC in the World MX GP and that calendar runs through to mid-September so ultimately it ruled him out of competing in the Aus SX in its entirety. Then, we were led to believe Metcalfe was racing the Des Nations so we had to make alternative plans around that as well.” Said Konsky. The team have quickly adapted to ensure they are ready for round one; “The timing was tough and I hope MA reviews this next year. Whilst this has placed some pressure on us, we have restructured our program to ensure we are prepared for a strong season from all of our riders,” Konsky added.